Shawanda Jones, Micah Smith, Seannille McRae (all seniors at Youngstown Early College) Sarina Chatman (2014 Chaney grad, YSU freshman) All are Sojourn to the Past students. All are Sojourn to the Past students. 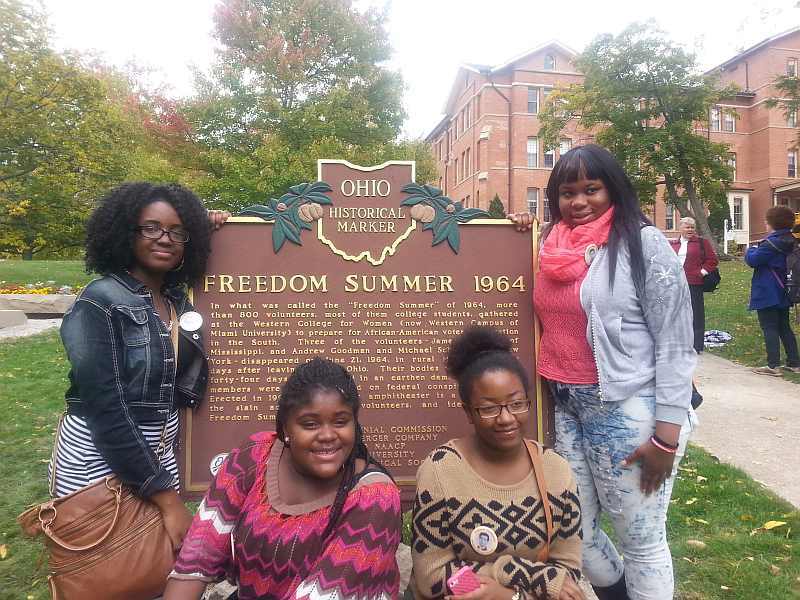 Four Sojourn to the Past students attended “Freedom Summer: 50 years Later and into the Future” Conference at Miami University of Ohio on Monday/Tuesday, October 13-14, 2014. On Tuesday morning the four Sojourn students were presenters with Penny Wells at a conference workshop titled “Walking in the Footsteps of History”. They met numerous people who had been volunteers during Freedom Summer in Mississippi and had received their training at Western College for Women, which is now part of Miami University. The President of Western College received hateful letters from Alumni for allowing the training to happen on the campus. Some alumni even refused to financially support the college. 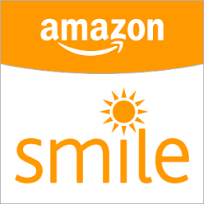 In the early seventies the college closed and Miami U. purchased the Western College campus. The belief is the financial crisis at Western College was partially due to lack of financial support from alumni as a result of Freedom Summer. They also met SNCC workers, who were working in Mississippi in the sixties, some of whom they recognized from film we saw on Sojourn. On Monday evening they attended “People Get Ready, Meditations on Freedom Summer: A Performance Opus” and heard the Miami University Wind Ensemble perform “American Guernica”, which through music describes the bombing of the Sixteenth Street Baptist Church and the killing of the four little girls. The piece was not always pleasing to the ears but was stirring to the soul as we heard the blasts of the dynamite, the mayhem that followed and then the silence of death. That was the most moving event of the entire conference. There were dramatizations of actual writings of Emmitt Till’s mom, Andrew Goodman’s mom, a female Freedom Summer volunteer, as well as a reading from Ralph Ellison’s “The Invisible Man”. They were powerful, making each of the individuals come to life.